Set to take the lights show in one box to a new level is the Equinox Domin8R. Featuring 8 mirrors and 120 Ultra Bright 5mm LEDs (R: 40, G: 40, B: 40), this innovative effect will shoot penetrating, coloured, beams of light over long distances and is great for producing aerial effects over crowds. Ideal for mobile DJs, clubs and small venues, the Domin8R LED offers a cost-effective alternative to laser effects. DJs and clubs will also appreciate the many features and operational versatility of the fixture. 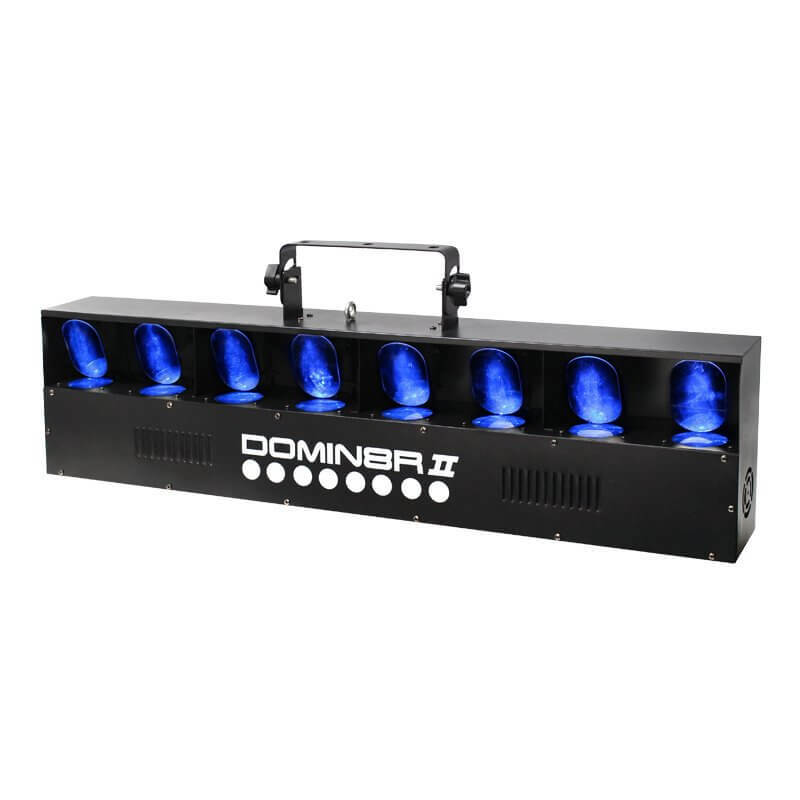 The Domin8R can be operated in DMX mode or for those who prefer an easy plug-and-play light show it can also be run as a Sound Active effect to its own internal programmes without requiring a controller. To accommodate larger venues and light shows, multiple units can be linked together via the fixtures built-in XLR connections and run Master/Slave configuration.